Learning how to get good luck with feng shui is easy when you understand some of the basic feng shui principles. 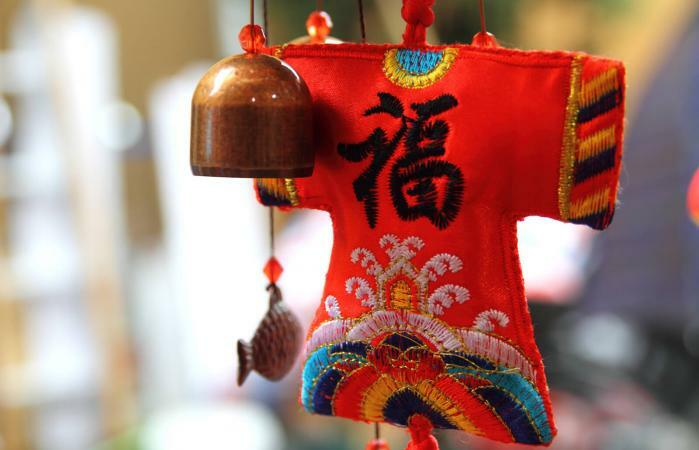 This ancient art form is renowned for improving people's lives and while it's associated with bringing good luck into your life, it's also a lifestyle that can change the way you see the world. You can increase your opportunities and attract positive chi into your life with a few feng shui luck sector tips. Select the luck sector you wish to tackle and assess the area in your home. Add the things needed to change your luck. Add the appropriate element to the luck sector you wish to activate using feng shui, such as crystals for love and relationship luck and the water element for career luck. Use a printable office layout to rearrange your desk to the command position to change your career luck or follow a business map that utilizes the bagua. Calculate your kua number and use it to take advantage of your best four directions for good luck and avoid your four worst directions. Improve your luck with feng shui artwork for every room in your home. There are many feng shui tips to bring good luck to specific areas of your life and those of your family. Some are simple solutions that can be added to your décor. Add more lighting options to the luck sectors you wish to attract auspicious chi energy and infuse energy in that area of your life. Boost your child's education luck with the proper desk placement and by activating the northeast (earth elements) luck sector (education) with a few crystals or a crystal world globe. You can ensure your newborn has a feng shui introduction to the world with a feng shui nursery design. Use the bagua to apply basic feng shui rules and principles to your home. Choose ideal room colors using feng shui color guidelines. 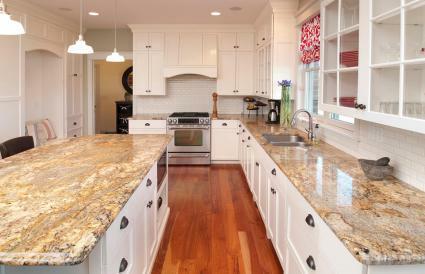 Follow feng shui rules when designing and building a home. Feng shui offers many options for attracting wealth luck. 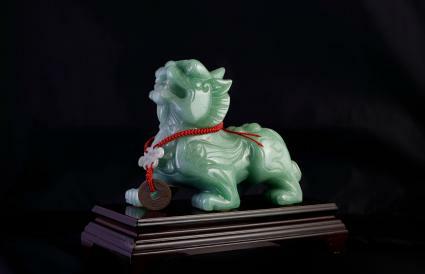 Some good luck symbols can be used to attract auspicious chi to the southeast sector (wealth). There are other things you can do to activate this sector. Place an aquarium in the wealth sector to attract auspicious chi energy to increase your wealth luck. During Period 8 (2004 to 2024) an in-ground water feature in the southwest activates great wealth. Feng shui plants in the southeast (wood element) will nourish your wealth luck. There are numerous feng shui housekeeping tips you can incorporate into your weekly chores to ensure good luck. The key to success is to be consistent in the application of these rules. The most important housekeeping rule is to declutter. Start with one room and work your way through your home including organizing closets and drawers. Mop or vacuum floors as often as necessary to keep them clean. Wash windows inside and out to allow beneficial chi energy to flow in and out of your home. Keep up with the laundry and never allow dirty or clean clothe to pile up. 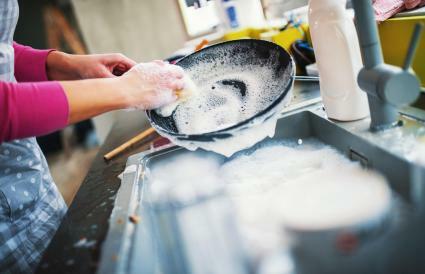 Wash pots, pans, and dishes as soon as you're finished with them. Never leave them in the sink. The key to creating circumstances to bring good luck is to know what needs to be fixed. While this sounds simple enough, tracking down the root of an inauspicious element or placement can take experience and sometimes, a little luck. Attract more wealth by placing three metal Chinese coins tied with a red ribbon in your wealth sector (southeast). Choose coins from a positive and prosperous time period. Empower your promotion with a water feature in the north sector. Support in your career by placing a picture of a mountain behind your desk. Bring auspicious energy into your marriage by placing a rose quartz pair of mandarin ducks in your love and relationship sector (southwest). If you wish to include some traditional good luck symbols in your décor, there's quite an array available. Most of these symbols can be found in various art forms. Be careful and don't go overboard with symbols. Too much of anything creates clutter. You can opt for the symbol of a long life by selecting a crane. Choose a money tree for great wealth. Place a golden Wu Lou (gourd) by our bed for health luck.